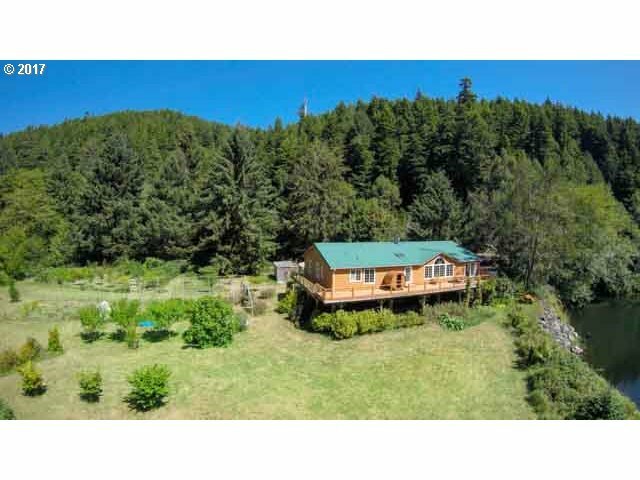 Gardeners Paradise and Spiritual Oasis in a park-like setting one mile east of Yachats OR and the Pacific with peaceful river views, abundant wildlife and great fishing. This home has a newly established orchard, raised bed vegetable gardens, 30X50 foot greenhouse and perennial gardens. Walk through a redwood grove, huge cedars, and encircling forests. Are you in a National Park?